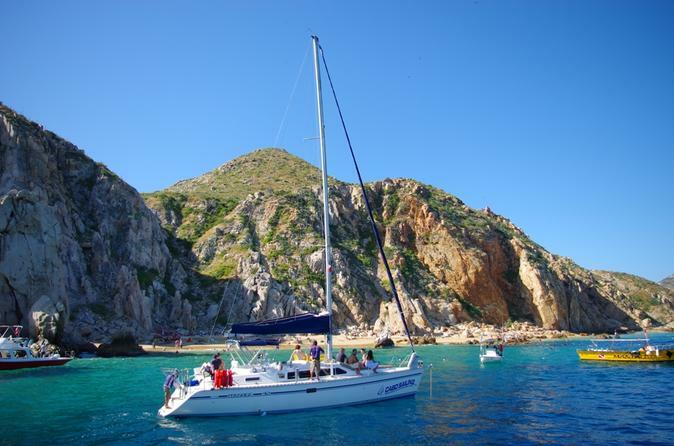 Enjoy a relaxing half-day cruise aboard a luxury yacht off the Cabo coast. 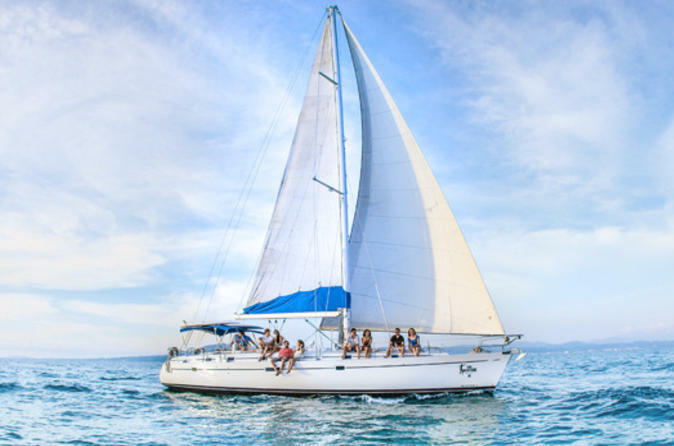 Indulge in several hours of free time to hang out in the pristine water and take it easy aboard the sailboat – you can snorkel with tropical fish, stand atop a paddleboard or sunbathe on deck – your choice! Plus, with a gourmet lunch and open bar (including specialty cocktails and sparkling wine) on board, you’re sure to have a splendid time! This small-group tour operates with a maximum of 20 people, ensuring you’ll receive personal attention from your guide. 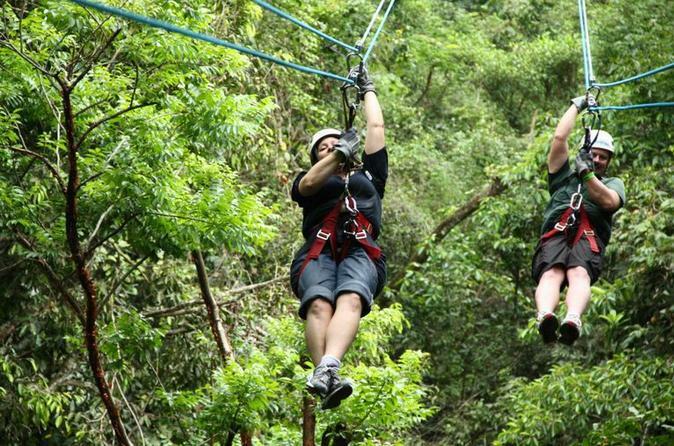 If you're looking for the perfect balance of activities and fun, then the Canyon Canopy Adventure is the choice for you! Thrill seekers get the unique opportunity to zip through canyons on a network of cables suspended high above the unspoiled scenic beauty and rich ecological habitats.Then, you get to ride on an off-road UTV buggie and zoom into the dessert. 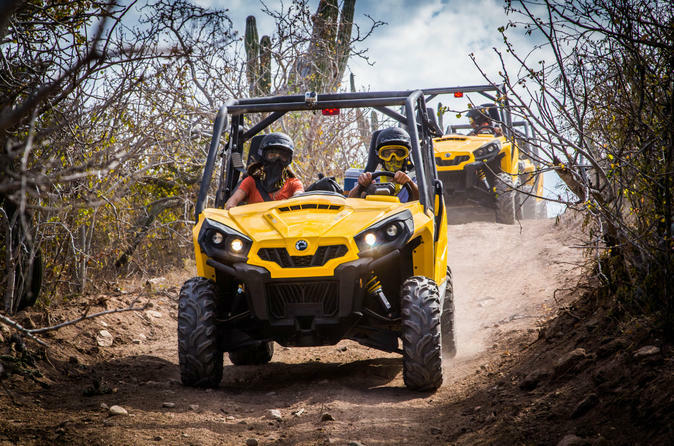 If you seek adventure in the beautiful nature that surrounds Los Cabos, this ATV ride is the tour for you! This ATV adventure will take you off the beaten track to explore secluded beaches and challenge yourself to difficult terrain! Finally an adventurous vacation you have been looking for! 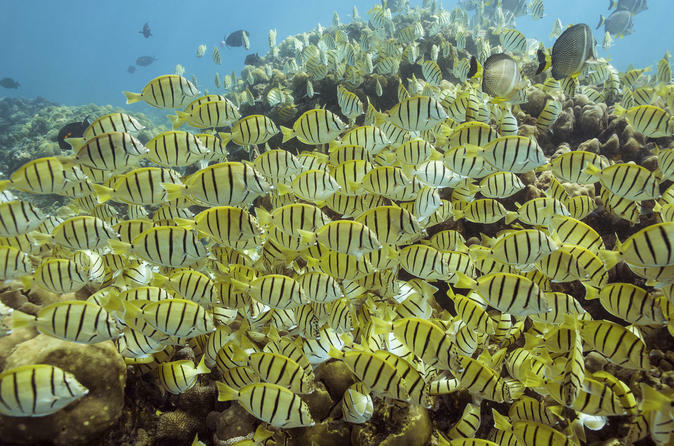 Have you ever dreamed of snorkeling in a clear blue sea while swimming with flights of colorful tropical fish in coral gardens? 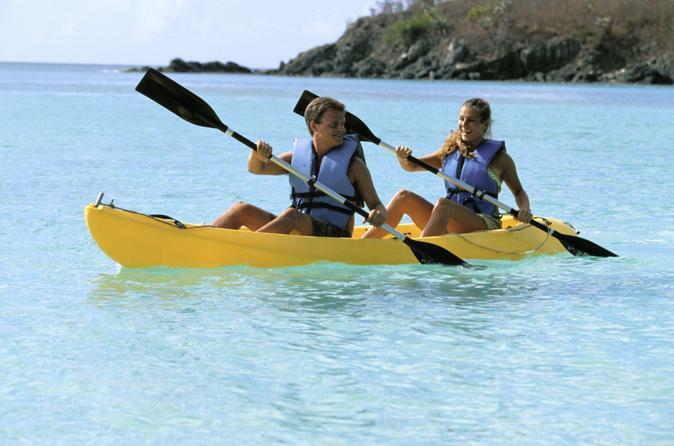 Then join this tour and kayak on the pristine bay of Santa Maria and white sands of Chileno! 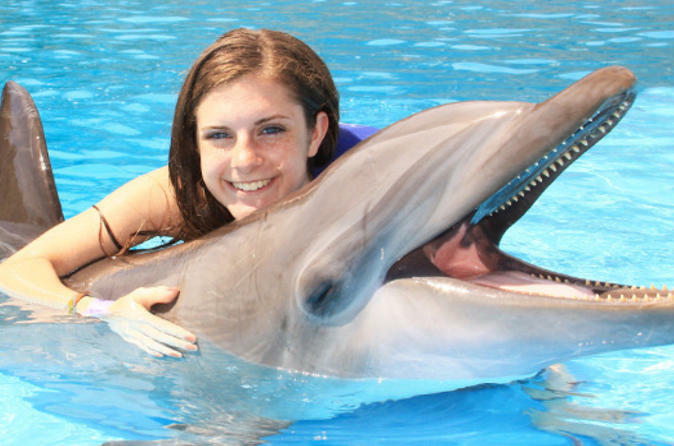 If you've ever dreamed of swimming with dolphins, here's your chance to turn your dreams into reality! 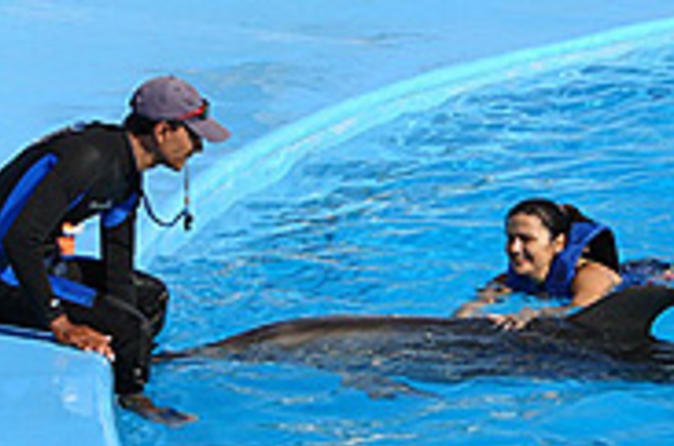 The Swim with the Dolphins program offers you the rare opportunity to swim and play with beautiful Pacific Bottlenose dolphins while visiting Cabo San Lucas, Mexico. Enjoy a luxury sailing and snorkeling adventure aboard an inviting and modern sailing yacht. 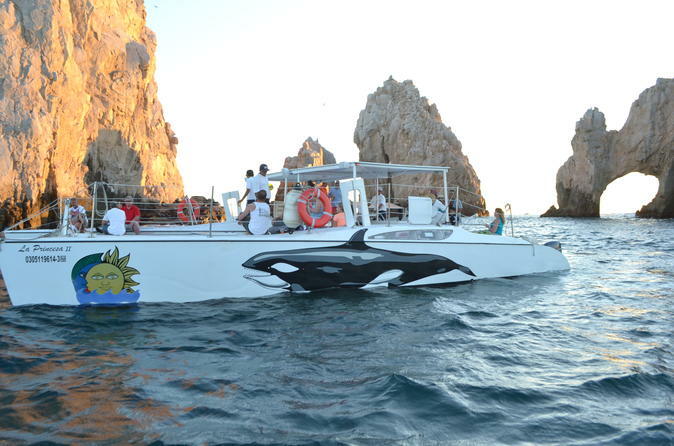 You will enjoy snacks, unlimited drinks and have chance to snorkel in Cabo San Lucas. 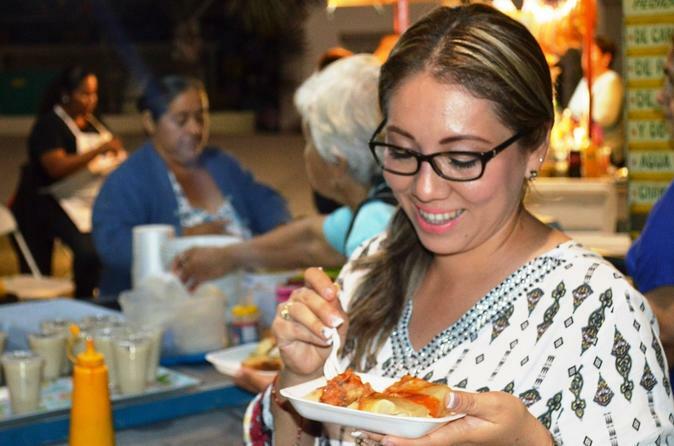 Discover all that Los Cabos has to offer on this 6-hour guided combo tour. See the famous peaks of El Arco and marine wildlife from a glass-bottom boat. Taste tequila and stop at a glassblowing factory in Cabo San Lucas. 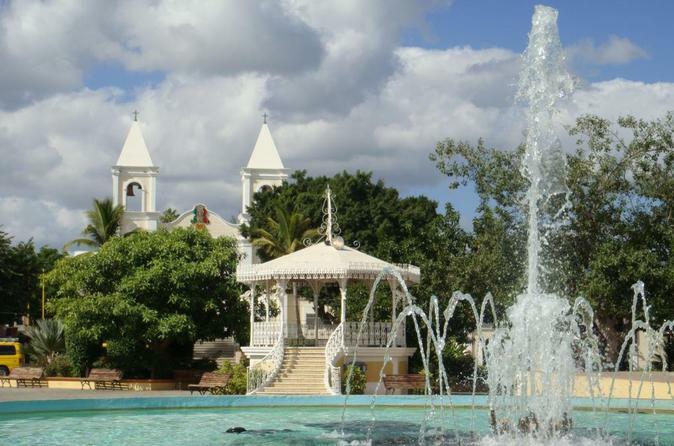 Then drive along the scenic Tourist Corridor to the charming town of San Jose del Cabo. Spend time in its historical center and lagoon estuary teeming with birds. Numbers are limited to 14 on this small-group tour, ensuring personalized attention. 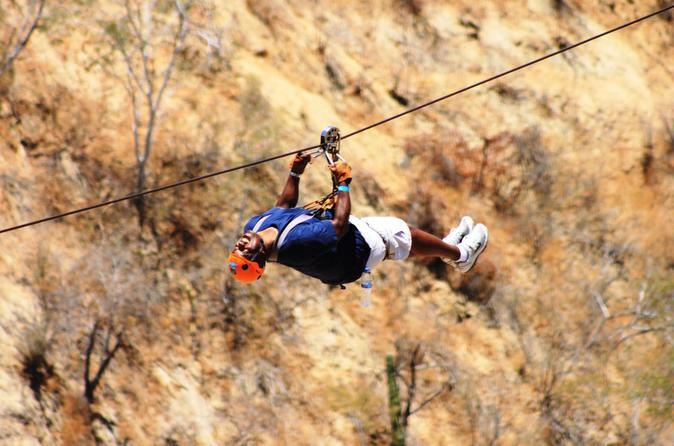 Soar more than 300 feet (91 meters) above ground on zip cables strung high above the river canyon of El Tule and in the safety of your harness, you'll experience adrenaline at its best! This exhilarating tour combines adventure, fun and excitement with breathtaking scenery from a bird's eye view! Book now to add excitement to your Los Cabos vacation! Test your endurance and swim alongside whale sharks, the largest known fish, in the Sea of Cortez on this full-day eco-tour. After driving through a beautiful desert to reach La Paz, sail out to warm waters rich with plankton, whale sharks’ favorite food. After a swim with these giants, enjoy delicious tacos on La Paz’s beachfront boardwalk and visit the iconic Hotel California. 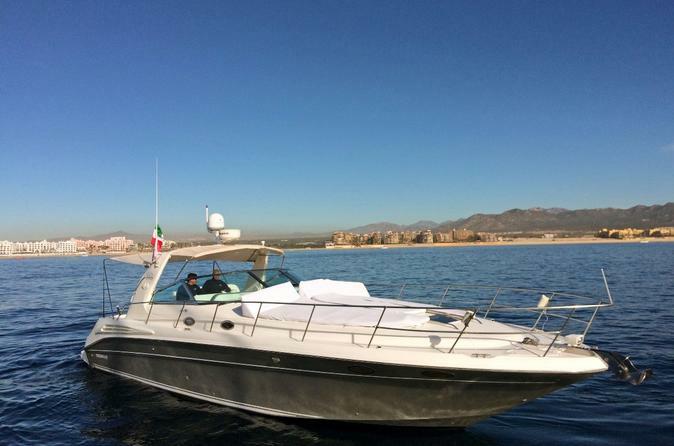 Round-trip transport from most Los Cabos hotels is included. Don’t miss out on this spectacular tour available from September to April only. Experience the charm of Todos Santos, surrounded by orchards of palm and mango, with beaches overlooking the Pacific Ocean. 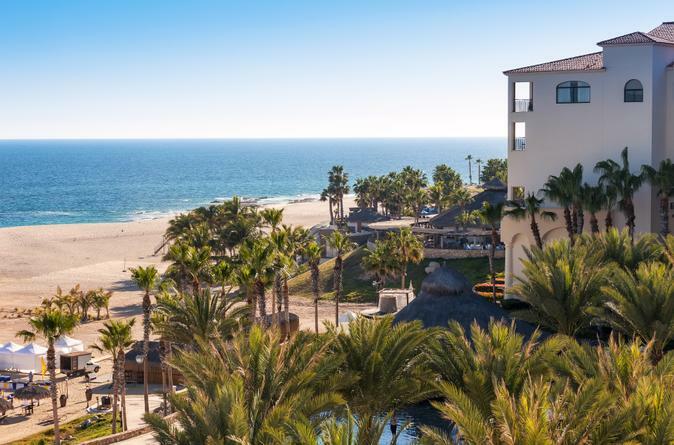 On this 6-hour small-group tour from Los Cabos, limited to 15 people, absorb the natural beauty, rich history and local hospitality that have earned the town the coveted designation of ‘Pueblo Magico.’ Visit historic landmarks and the iconic Hotel California, and then enjoy free time to stroll through galleries and artisan shops — or just soak up the sunny weather and imagine what it’d be like to live in this laid-back haven. An oasis in the middle of the desert! 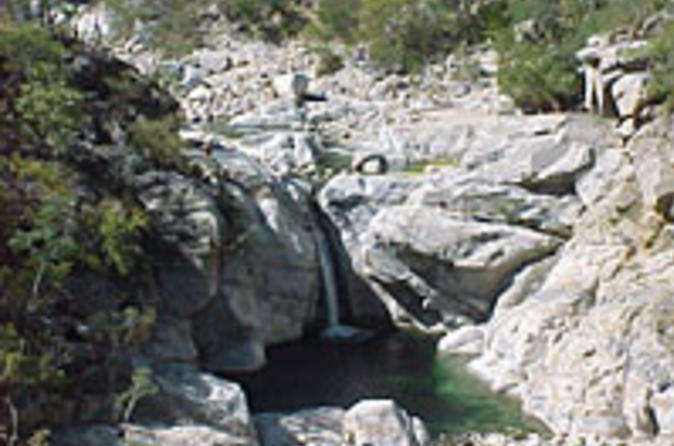 Hike the canyons of Sierra La Laguna, traversed by Indians hundreds of years ago, where increased rainfall creates a unique biosphere. Swim in the natural springs and waterfalls surrounded by incredible granite formations and impressive wildlife. 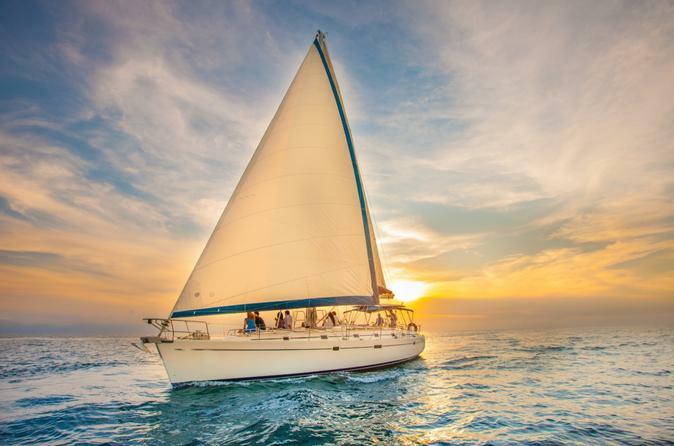 Enjoy a 2-hour luxury sunset sailing tour aboard a beautiful sailing yacht. Admire the sights illuminated at night and see the wonderful sunset contrasting with the waters of Cabo San Lucas. This is a family-friendly tour including snacks and beverages. Come and meet the friendliest mammals of the ocean. 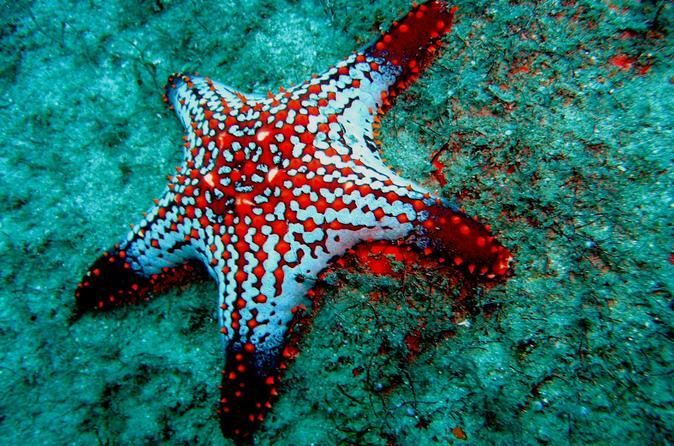 Get up close, kiss, shake hands/fins and learn about these magnificent creatures in this safe environment in Cabo San Lucas, Mexico. This amazing dolphin encounter will leave you a lasting impression on your heart, soul and mind. 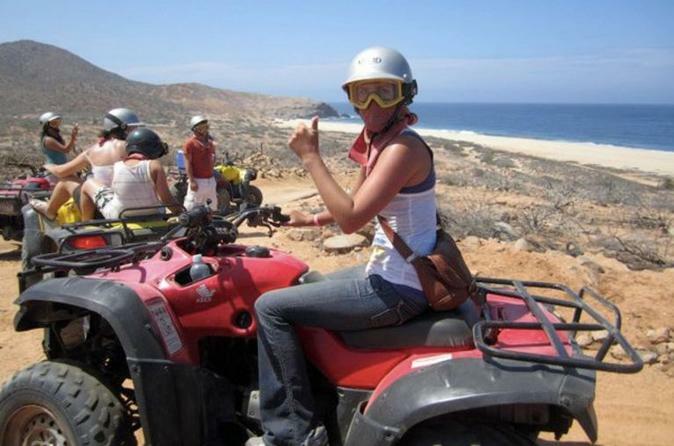 Enjoy a 2-hour UTV adventure tour in Cabo San Lucas. Admire the contrast between the arid desert and the beautiful white sand beach with the ocean in the horizon. You will be able to visit rare white lions and, along with your guide, drive through narrow riverbeds leading you up to beautiful Margaritas Beach. Get ready for the experience of a lifetime! Your tour includes equipment, a snack and transportation. 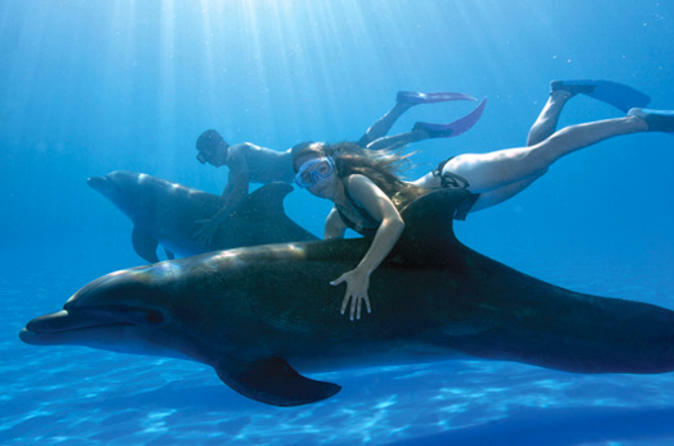 If you love dolphins, or have ever thought about being a dolphin trainer, the adventure of a lifetime awaits you in Cabo San Lucas, Mexico! Discover and learn about these beautiful mammals in an once-in-a-lifetime experience where you'll be an active participant in this unique day program. Enjoy a snorkeling catamaran tour at Santa Maria Bay. Dive into the water depths of Santa Maria Bay admiring the reefs and experiencing the color of tropical sea life in its natural habitat. Snorkel in what Jacques Custeau called the aquarium of the world! 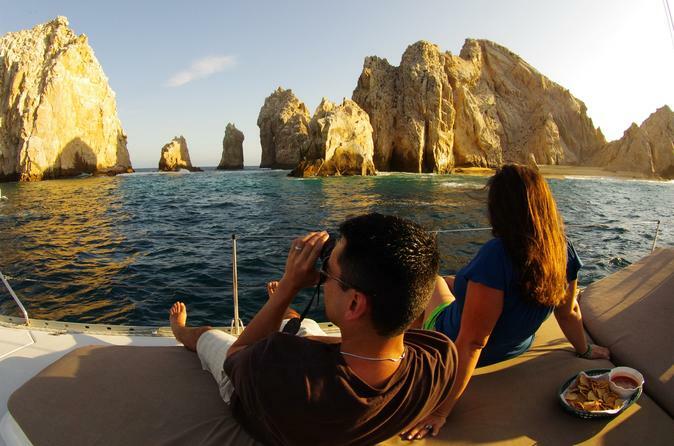 Enjoy a high-end private sightseeing cruise in Los Cabos aboard a luxurious sport cruiser motor yacht. See the wonderful sights that the area has to offer and enjoy personalized attention, unlimited drinks and snacks.